Pubs visited: Many, at least six! Ride low point: Ending up back outside the B&B on the second morning after about an hour of cycling in a giant loop, which included some pretty steep hills. As is usually the case with students, we were rich in time but poor in money. Therefore, we decided if we wanted a holiday by the sea we should just cycle there and that is how the idea began. 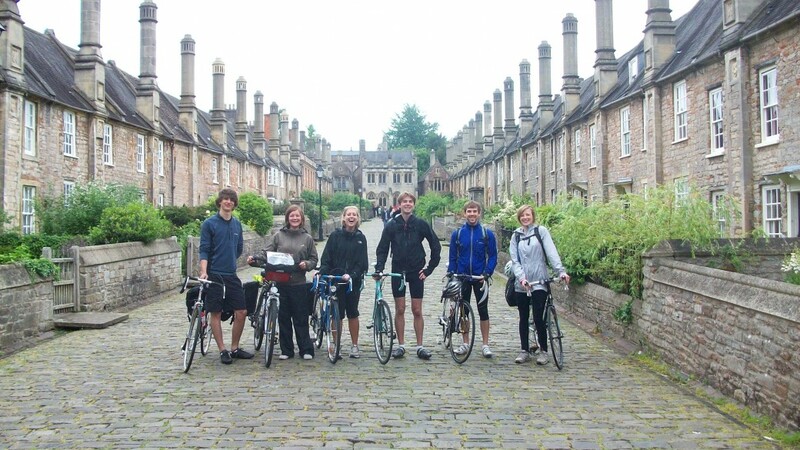 This was the first cycle trip any of us had ever been on, which was pretty apparent by our lack of equipment and touring know-how. The quality of bikes we were riding ranged significantly but I don’t think a single one of us had an actual touring bike! The first day was baptism by fire into the world of cycle touring. 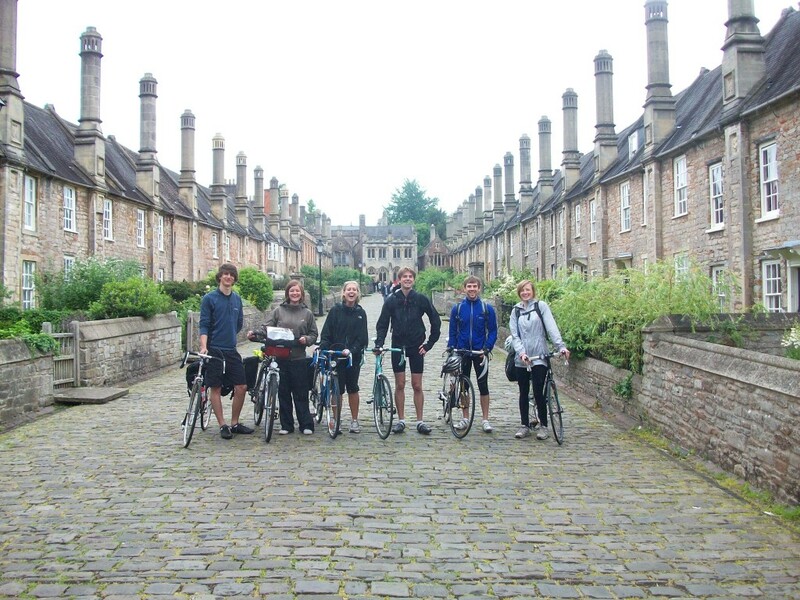 We set off early and enjoyed a scenic morning cycling south out of Bath and through the pretty city of Wells. The Cathedral is beautiful as is Vicar’s close which is situated next to the Cathedral and is the oldest residential street in Europe. 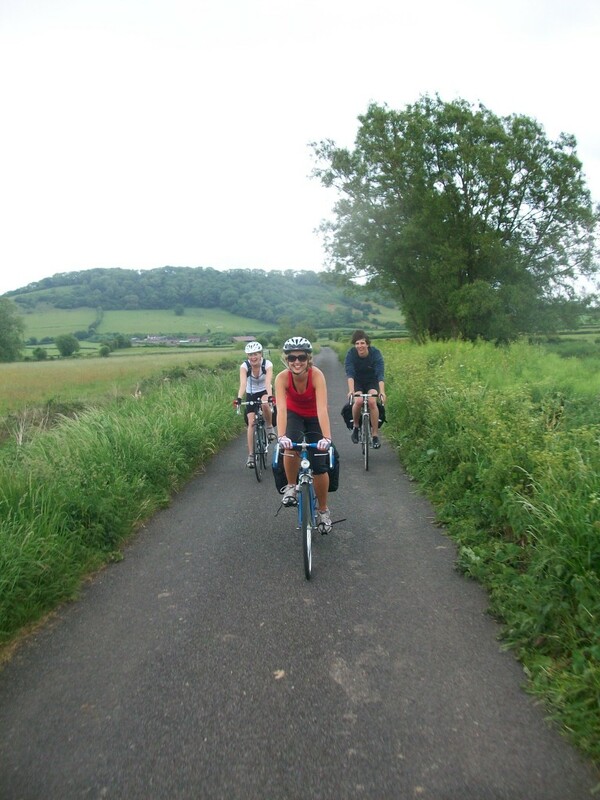 Further south the cycle path did not seem to be very direct and we spent a long time cycling in what seemed like circles around Glastonbury. Eventually we made it to Taunton where we stopped for a hot meal as it was getting late. We somehow managed to underestimate the mileage we still had to go in order to make it to our B&B before dark and were still cycling at 10 o’clock at night, lost looking for the B&B and it had started to rain! 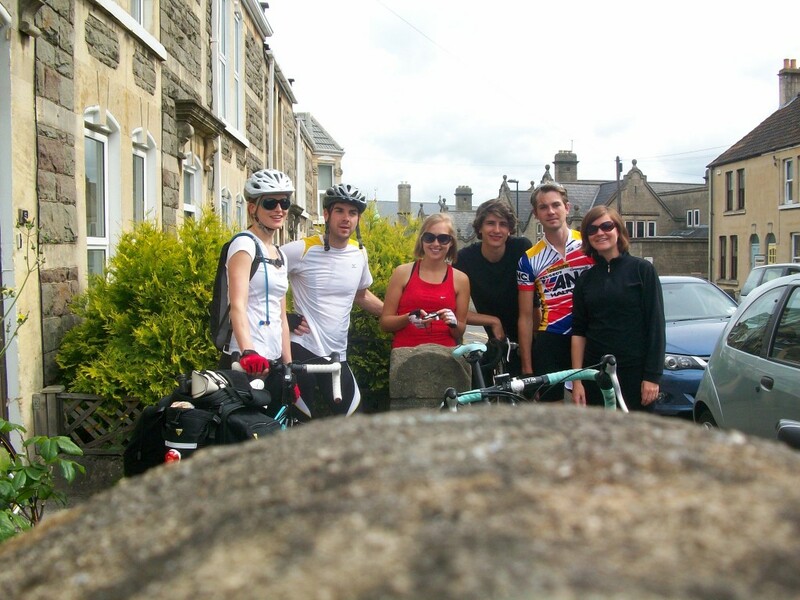 By the time we made it to the B&B we had cycled over 80 miles. 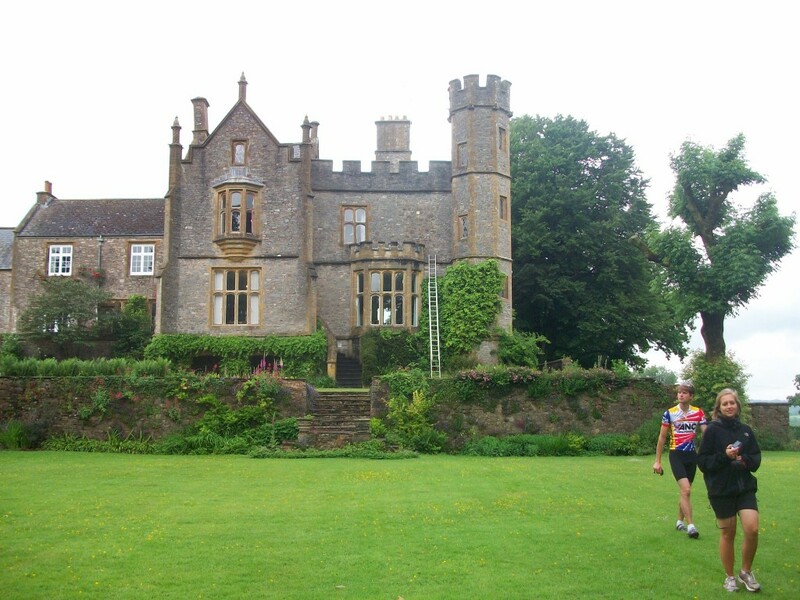 On a positive note – the B&B we stayed at was very impressive, it was a large Victorian country house called Greenham Hall, it was set in beautiful grounds, and the breakfast the next morning was delicious! Unfortunately our second day started off just as badly as the first one ended. After cycling for nearly an hour up and down some pretty serious hills, we found ourselves back outside the B&B – we had managed to cycle in a giant loop! This was extremely demoralising to say the least. After the slow start however the day got much better, we cycled through some quaint villages and when we got to Exmoor National Park it was really beautiful. 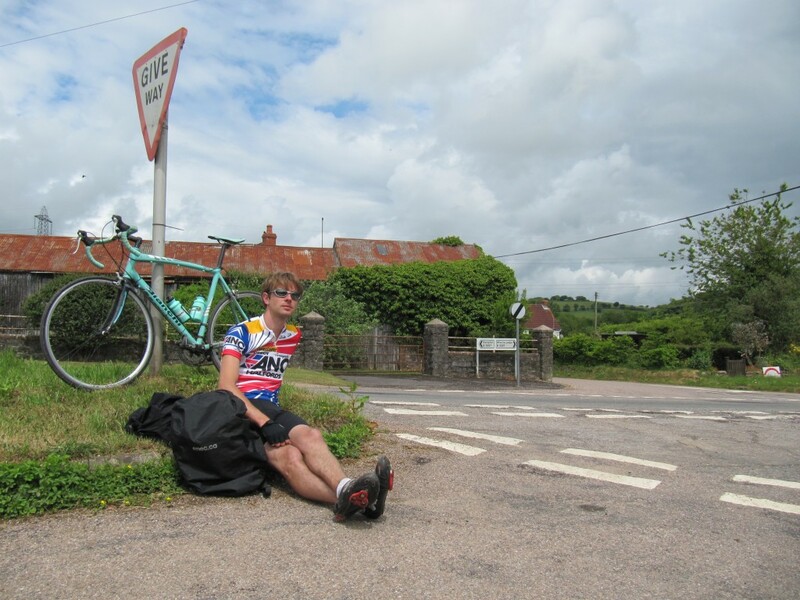 The major downside to riding in Exmoor National Park was the hills, these are some of the steepest hills I have ever climbed – even four years (and many bike rides) later. For most of us they were too steep to ride and we had to get off our rickety old bikes (or fancy road bikes with inappropriate gear ratios) and push them, I think André was the only one that stayed on his bike the entire way! However, the view from the moorland plateau and seeing the wild ponies was worth the hills. 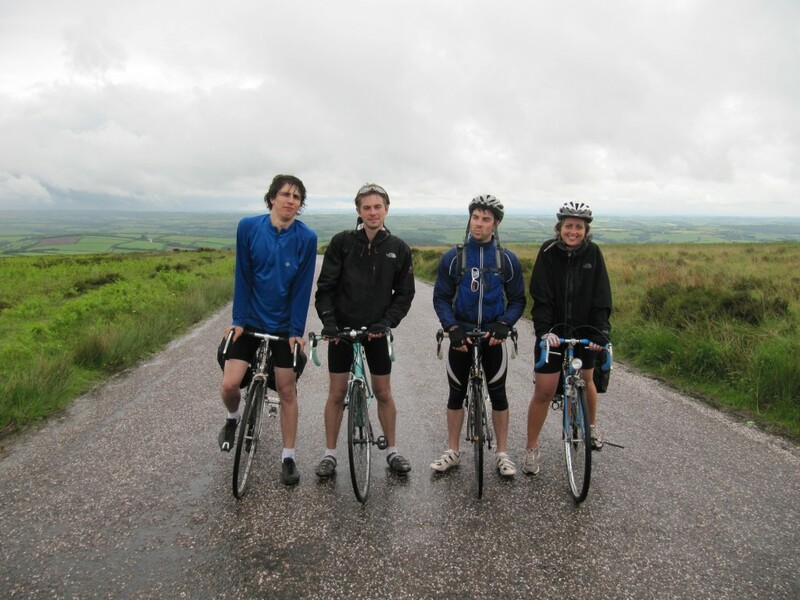 From Exmoor we carried on cycling west towards the coast and my parent’s house, who were hosting us all for the night. When we arrived my mum and dad greeted us with beers and an enormous amount of BBQ food – it was a great evening. After a rest day in North Devon we continued with our trip. The morning was spent on a lovely coastal, yet flat, bike path which made the miles seem to fly by. Once we crossed the border into Cornwall, the route started to get hilly again, which was very tiring, however the views of the rugged Cornwall coastline were really spectacular. 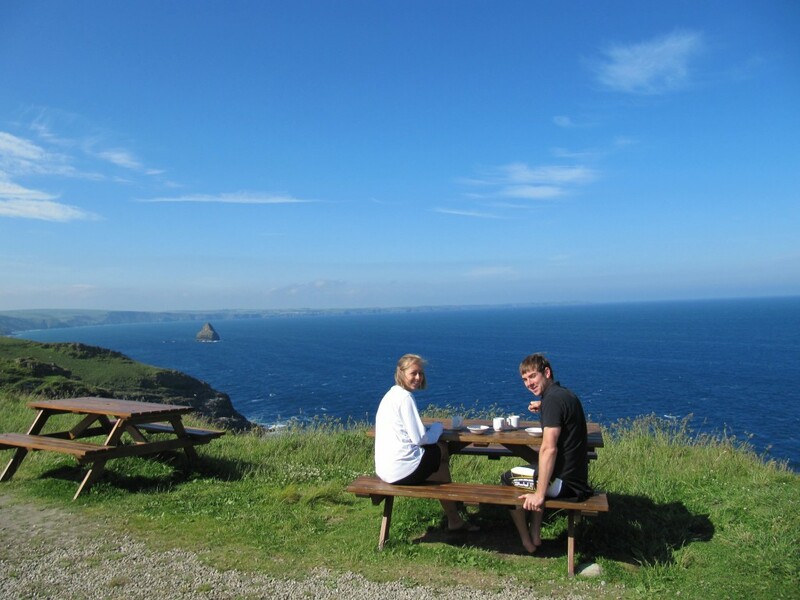 That night we spent in a youth hostel perched on the edge of a cliff near Tintagel, breakfast in the morning overlooking the Atlantic was a really great way to start the day. Our final day of cycling was going to be a long one as it was many miles to Penzance and everyone was feeling a little tired and saddle sore. 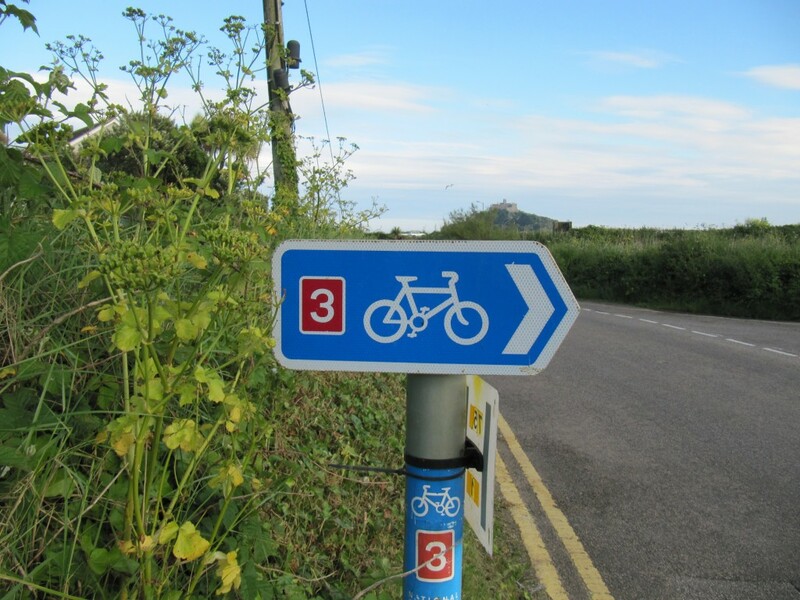 For some of the ride we ended up on the A30 which wasn’t so nice, the worst section of the ride to date I would say, however it was direct and we made good time to Redruth. The afternoon was spent winding our way along the back country lanes to Penzance and it was very tranquil and scenic. The day ended with one last massive hill out of Mousehole before we arrived at our destination, tired but pretty proud of our achievement. We had four days to rest and enjoy the sights of Cornwall before the train back to Bath. The trip definitely had some difficult times but it was great cycling with friends and we generally managed to cheer each other up when things got tough.